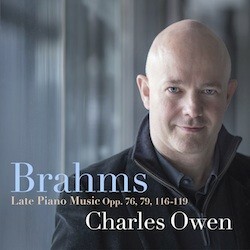 Steinway ambassador, Guildhall professor and co-founder of the London Piano Festival, Charles Owen turns to the late piano works by Johannes Brahms for his latest AVIE release. 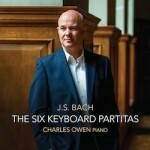 Within this collection of Capriccios, Rhapsodies and Intermezzi, Charles reveals myriad moods with the composer harking back as well as facing forward – from evocations of Schubert, Schumann and Liszt in the Eight Klavierstücke, Op. 76; winter-like darkness in the two Op. 79 Rhapsodies; Hungarian foot-stomping dance forms in the seven Fantasies that comprise Op. 116; nostalgic contemplation in the Op. 117 Intermezzi; romantic inflections in the Op. 118 Klavierstücke which were dedicated to Clara Schumann; and the tonally forward Klavierstücke, Op. 119.